Milton's great 17th-century epic draws upon Bible stories and classical mythology to explore the meaning of existence, as understood by people of the Western world. Its roots lie in the Genesis account of the world's creation and the first humans; its focus is a poetic interpretation "Of Man's first disobedience, and the fruit / Of that forbidden tree whose mortal taste / Brought death into the world, and all our woe / With loss of Eden." In sublime poetry of extraordinary beauty, Milton's poem references tales from Ovid's Metamorphoses, the Iliad and Odyssey, and Virgil's Aeneid. But one need not be a classical scholar to appreciate Paradise Lost. In addition to its imaginative use of language, the poem features a powerful and sympathetic portrait of Lucifer, the rebel angel who frequently outshines his moral superiors. With Milton's deft use of irony, the devil makes evil appear good, just as satanic practices may seem attractive at first glance. 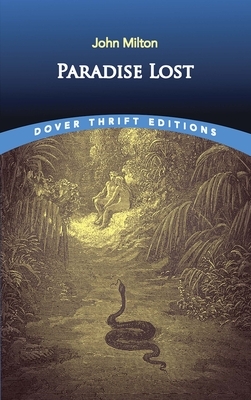 Paradise Lost has exercised enormous influence on generations of artists and their works, ranging from the Romantic poets William Blake and Percy Bysshe Shelley to Joseph Haydn's oratorio The Creation and J. R. R. Tolkien's The Lord of the Rings.